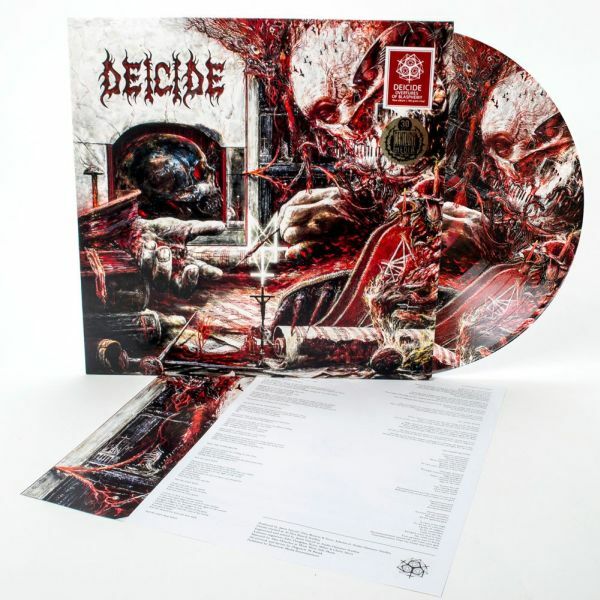 DEICIDE - OVERTURES OF BLASPHEMY PICTURE VINYL (LP PIC) | Online Shop | Wizard LTD. Album: "OVERTURES OF BLASPHEMY PICTURE VINYL (LP PIC)"
- Rechtzeitig vorbestellen: Limitiert auf 500 Picture LPs. Und wer zu spät kommt, den bestrafen eBay und discogs! The godfathers of US death metal return with their 12th studio album. Four years in the making “Overtures Of Blasphemy” proves to be worth the wait. Produced by Jason Suecof (Trivium, The Black Dahlia Murder) and ennobled with a stunning artwork by Zbigniew Bielak (Ghost, Watain, Paradise Lost), “Overtures Of Blasphemy” offers straight forward, yet challenging and always-uncompromising death metal played with sheer perfection. 12 tracks of high-class death metal relentlessness, on par with DEICIDE’s great classics “Legion”, “The Stench Of Redemption” or “In The Minds Of Evil”.